Good healthy food doesn’t have to look or taste bland. How delightful do these little pots of colour look, and I can assure you the simplicity of fruit and yoghurt is so refreshing. This is so easy and doesn’t even require any cooking or me to type up a recipe. 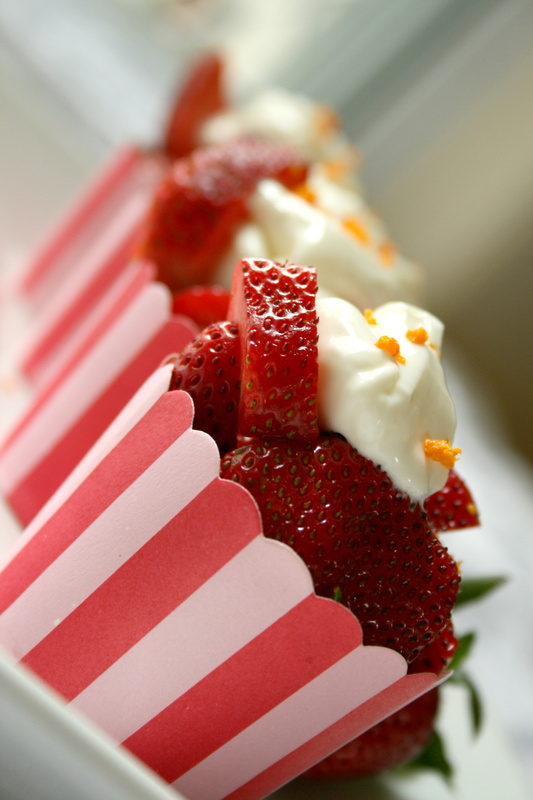 All you need is some swanky cup cake wrappers, would you believe I got these from an el-cheapo shop for $2. They were staring at me all week on my kitchen bench, and when I saw the delicious strawberries at the store, I knew exactly what I would make. 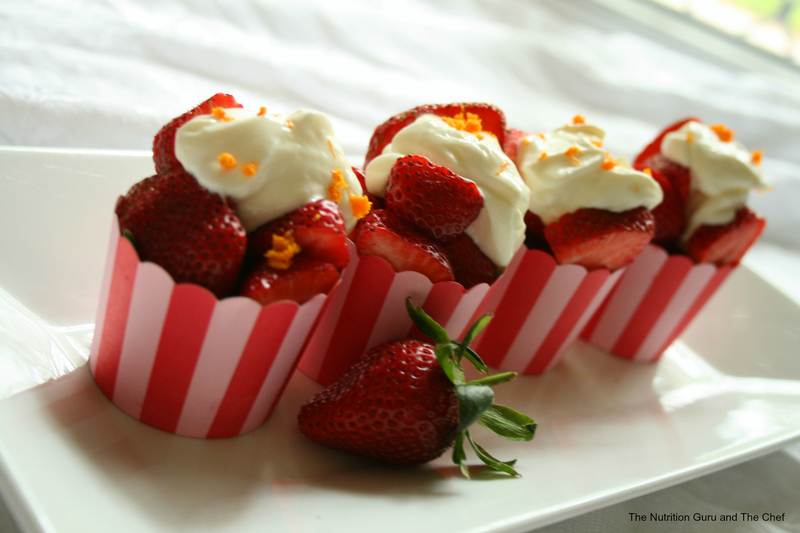 Chop the strawberries, pop them into the cups, top with a dollop of delicious yoghurt and grate a smidgen of orange zest on top. 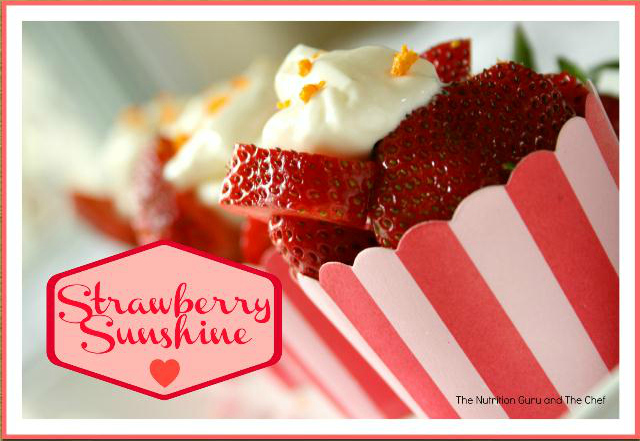 Strawberries contain fibre, vitamin C, folate and numerous other antioxidants. You could use any fruit, the possibilities are endless! Devine, pretty, simple and nutritious! 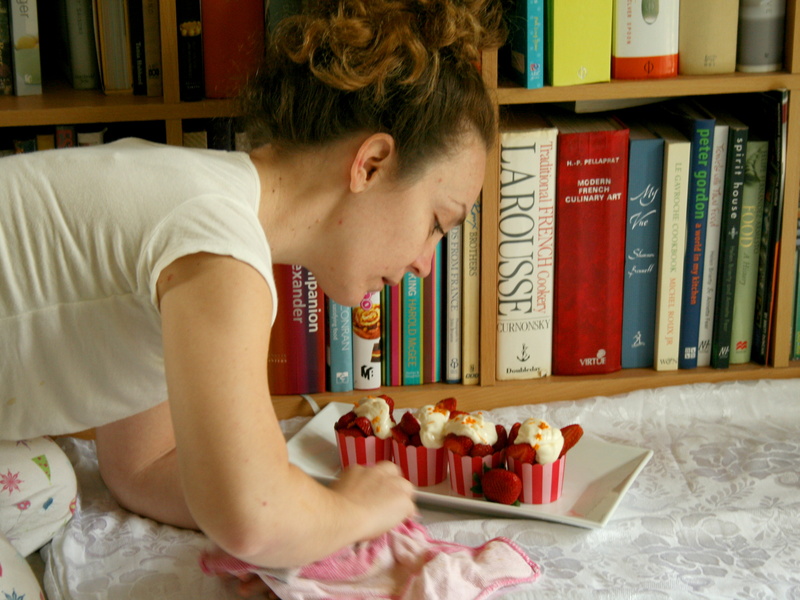 What is your favourite strawberry recipe? Those are so pretty! Great food styling.